are implanted on the acupuncture points on the dog's back and head. the back, wobbler disease, and epileptic seizures. WELCOME TO THE DURKES VETERINARY CLINIC! Tues., Weds., & Thurs. - 8 AM to 5 PM. The Staff of The Durkes Veterinary Clinic would like to extend a warm welcome to you as visitors of our website. 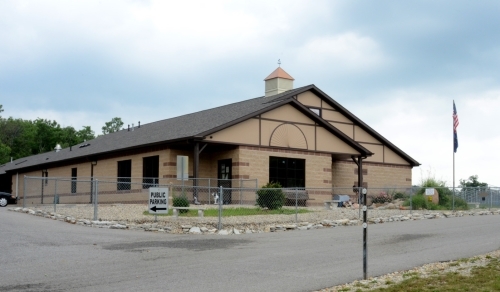 Our first location the Western Avenue Animal Hospital opened in Marion, In. in 1972. Now at our new location nothing has changed. We still specialize in companion animals and exotic pets; we provide superior treatment for your pet. We have a very caring staff to serve you and your pets. We offer conventional medicial and surgical procedures and acupuncture as well. Offering this combination enables us to provide a full spectrum of services. Complete medical and surgical care as necessary during their lifetime. We understand the special role your pet plays in your family and we are dedicated to becoming your partner in your pet's health care. We treat your pet as we would our own. Our goal is to practice the highest quality medicine and surgery with compassion and an emphasis on client education. Our entire staff is committed to providing personal attention to the unique concerns of each individual pet owner. This is a condition that can have many causes. Excess vertebral movement and improper diet during the growing stages of a dog can be causes of spondylosis.